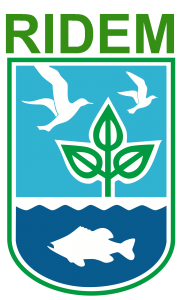 The Reserve’s ecological profile is a comprehensive ecological overview that compiles and summarizes relevant literature and data pertaining to the terrestrial, freshwater, and estuarine ecosystems in and around the Reserve in one comprehensive document. It also provides background on the role and history of the NERR System, discusses the chronology, organization, and infrastructure of the NBNERR, and summarizes the human and cultural history of the Reserve. A key goal of NBNERR research staff is to connect Reserve science with a variety of end users and audiences. This is accomplished via three primary mechanisms: publishing manuscripts in peer reviewed scientific journals, writing technical reports that are typically not geared for the peer-reviewed literature, but which otherwise provide key information on Reserve research and monitoring, and presenting key research findings at scientific conferences with poster presentations. Here, we list all publications, technical reports and poster presentations produced by Reserve research staff, and provide many as downloadable PDFs.